mouse medicine: o is for oops! welcome to blog action day! our topic this year is water. when it comes to water, I thought I'd out my own personal OOPS. now, my blinders are OFF.....no more oops for me! no time for annie's vid? - Support policies that promote clean, affordable tap water for all. As always, your post was fabulous! I learned some new stuff and can pat myself on the back for using a metal water bottle for several years now! I've always used a plastic, insulated bike-rider's squeeze water bottle filled with tap water on my hikes. It's just common sense compared to the cost of bottled water. 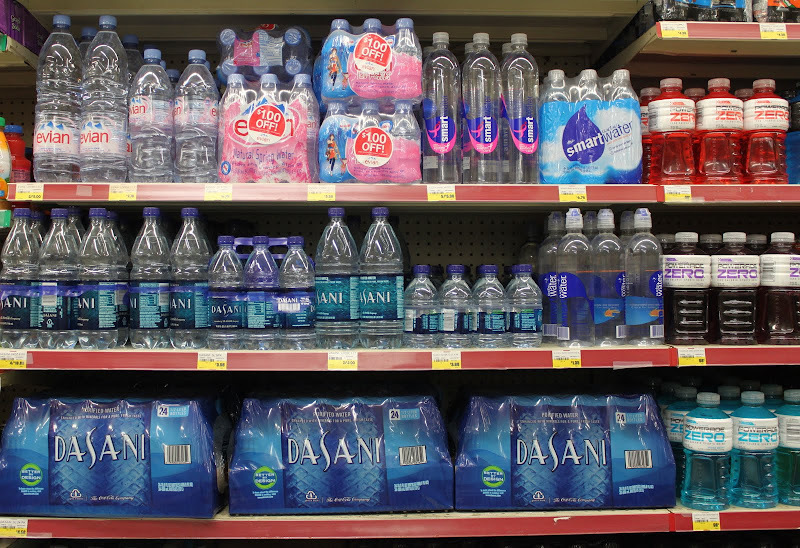 And as I heard a guy say on one of the NPR talk shows, there's absolutely nothing wrong with tap water anywhere in the US that justifies this bottled water fad. I "took the pledge" many years ago. bottled water is a big rip-off. I do love some of the reuseable bottles in your photo. Mine is so plain! I use a refillable bottle and have a filter on our tap at the kitchen sink. I always thought it was ironic that just as we were all trying to be 'green' that we fill the trash dumps with tons of plastic bottles. Never made sense to me. I have to agree with Betsy...it did seem ironic. I've been using tap water now with a Brita filter and even question that. The past few weeks our water smells like pure bleach coming out of the faucet. I called our township and they claim they needed to use boosters for bacteria. I'm not sure the bleach is safe either. I remember the days when we never questioned the quality of our tap water. This is a very informative chart. Thanks. 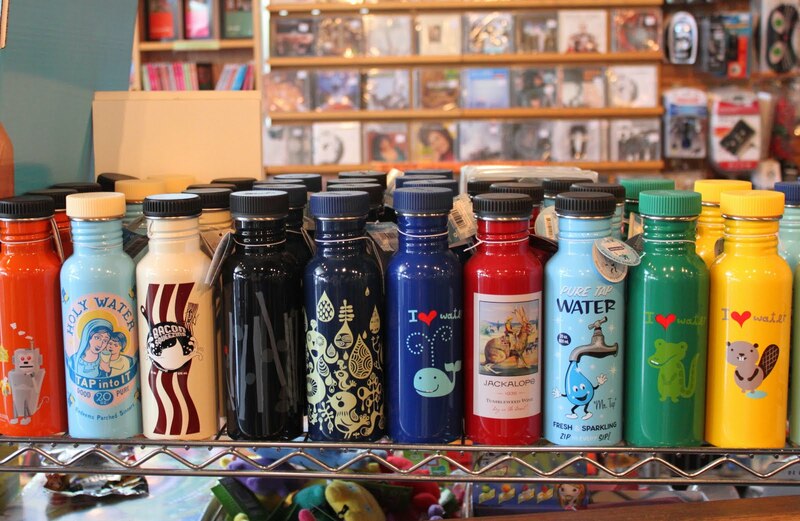 When we bought our reusable water bottles the price was astronomical. They are finally coming down in price. Great post! I just started using a refillable water bottle instead of buying bottled a few weeks ago because I got a free water bottle from a bank as a promotion. A few days after that we were told not to drink the water in Trenton because there were problems with the water filtration plant. A big warning went out and I was back to bottled water. The situation has been corrected now but what horrible timing. Your post has made me realize it is time to give it another go. I really want one of those "Mr. Tap" water bottles though (the light blue one in your pic that looks retro). Hopefully I'll find it around here. Oh yes, filters on the tap a must, especially in these parts. Great video and makes the understanding so simple. Yes, I've Always Thought It A Bit Daft To Buy Bottles Of Designer Water. "they" would sell us Sunshine Too if they could! Great post. Full of info. Hubby and I use refillable bottles and drink tap water. Always have.